For a lot of people, the thing that they are the most insecure about when it comes to their smile is the color of their teeth. Even with proper care, it can be tough to keep your teeth perfectly white. Now add dietary habits like coffee, tea, red wine and cigarettes—along with genetics and environmental influences—and you have a smile that isn't as white as it could be. If you are worried about the whiteness of your smile, then you’ll be happy to hear that there may be an easy and cost effective solution for you—teeth whitening. WHY WOULD I WANT TO WHITEN MY TEETH? While most cosmetic dental services have a practical purpose along with an aesthetic one, teeth whitening is a little different. Because your teeth don’t need to be white to function, whitening may not be an appealing option for you. For some people, though, whitening is extremely beneficial. For a lot of people, keeping their teeth white can be difficult. Not everyone’s teeth are able to stay perfect with general care, and this can cause a lot of frustration. This is especially so when they’ve tried whitening toothpaste and even at home bleaching kits,and haven’t gotten the results that they are looking for. There are also people that have uneven shade to their teeth,and would like consistency in the shade. While with this situation the shade difference may not be extremely noticeable, it can still be a cause of insecurity and even embarrassment for some people that take a lot of pride in the way that their teeth look. Finally, there are those that make certain dietary choices that aren’t conducive to white teeth, but don’t want to have to make big changes to their diet just to have a whiter smile. For instance, people that drink a lot of coffee, tea and red wine may find that their teeth begin to darken. Instead of giving up on certain dietary habits, professional whitening gives them the option of enjoying the drinks that they like, with the option of keeping their teeth white when they start to yellow a bit too much. Whatever the reason may be, whitening can really help to give people the confidence and self-assurance that they are looking for. A brighter, whiter smile can really make a world of difference to some people—and those are the people that would benefit most from a dental whitening procedure. 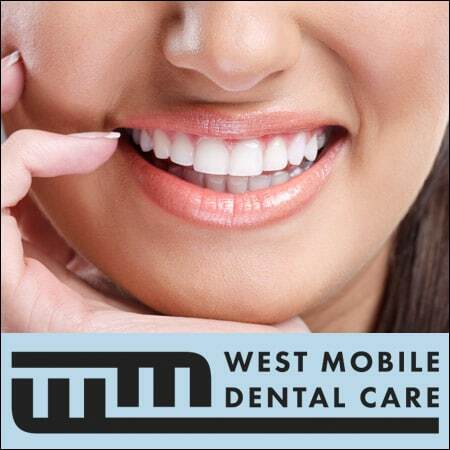 We Can Help You With The Smile You Deserve with our Professional Teeth Whitening Services! 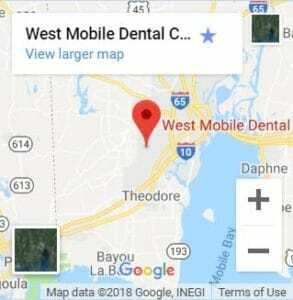 Call (251) 666-3600 to Setup an Appointment Today. While there are some amazing aesthetic benefits that whitening provides, it’s not a permanent fix. Because of that, a patient should expect to “touch up” with whitening kits to maintain a bright smile. Also, teeth whitening is not an excuse to skimp out on overall oral health. Even with whitened teeth, it is necessary to brush, floss and rinse your mouth out daily. In a lot of instances, the discoloration of your smile may actually be a result of tartar and plaque accumulation. If you become a little too relaxed with your oral hygiene—not only will your teeth begin to become discolored again—but you will begin to develop cavities, tooth decay, gum disease and other oral health issues. Bleaching agents also will not change the shade of porcelain crowns/veneers or tooth colored fillings. Furthermore, some teeth have internal color issues due to the way the tooth was formed. It is very difficult to correct the shade of intrinsically stained teeth. Ask your dentist if your concerns can be predictably managed with whitening products. WHY WOULD I WANT TO GO TO THE DENTIST, INSTEAD OF USING AN AT-HOME KIT? While there are some excellent at-home whitening kits on the market that are available, they aren’t quite the same level of quality or concentration as the kind that you’ll find when you go to the dentist. If you have some minor discoloration, an at-home whitening kit may be right for you. On the other hand—if the concern is more severe—you’ll want to consider having a dentist take a look and walk you through whether a store-bought kit is right for you. It’s also important to understand that when you are using at-home kits, you aren’t getting the customization and proper supervision that you would get from a dentist. When you go to a dentist, they work with you to get the perfect results for your specific teeth, instead of using a method that is intended for a wide audience. Tooth whitening (or bleaching) can also have adverse affects on oral integrity. Improper use may lead to tooth sensitivity and even damage to the roots or nerve. Some patients also have more sensitive teeth to begin with, and the process may not be ideal for them. Before using an at-home kit, you should meet with your dentist and see if this is a good option. WHAT IS THE PROCEDURE FOR TEETH WHITENING LIKE? Teeth whitening is a simple process, most of which can be done at home. When you come in for whitening, your dentist will take a mold of your teeth to create the perfect custom mouth tray for your specific teeth. From there, you will complete the treatment at home, using a solution with carbamide or hydrogen peroxide. The patient may wear the mouth tray for a few hours, or possibly longer depending on the strength of the whitening gel. If a patient has more sensitive teeth, though, it may be advisable to apply for shorter periods of time. This is something that you should discuss before experimenting on yourself and potentially doing damage to your teeth. WHAT ARE SOME TEETH WHITENING CONCERNS? One of the biggest things that you should consider when it comes to teeth whitening is the risk of damage to your teeth if you attempt to whiten your teeth in a way that your dentist did not suggest. It’s also important to remember that teeth whitening isn’t permanent and—due to lifestyle choices—may fade away in one to four years or so. This is expedited by smoking, drinking certain beverages and other choices that may affect the quality of your teeth. If you are self-conscious about your smile and wish that it was brighter, speak with your dentist about a customized tooth whitening process that is right for your specific teeth. Contact our dental team about an appointment today; We also provide a variety of other dental services such as dentures, implants, porcelain veneers, crowns, fillings and more.